Citizens of Jackson, Tennessee, awakened on the morning of February 4, 1859, to discover that the local branch of the Union Bank of Tennessee had been robbed of $17,300 in paper money and $5,700 in gold coins. Tragically, the bank’s clerk, 28-year-old George E. Miller, had been brutally murdered, a canceling hammer he used in banking business smashed into his skull. Despite a diligent search by local authorities, the murderer (or murderers) was never brought to justice. Memories of the unsolved crimes resurfaced–literally–over 125 years later, when city workers unearthed a mysterious cache of gold coins believed to be part of the bank’s stolen money. 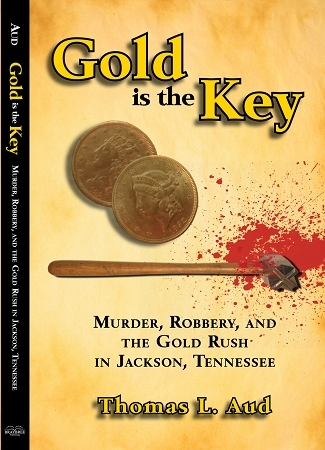 Gold is the Key recounts this fascinating chapter of Tennessee history. It tells not only the life and tragic death of the bank clerk, but life as it was for his family and friends in Jackson and Madison County before the Civil War. 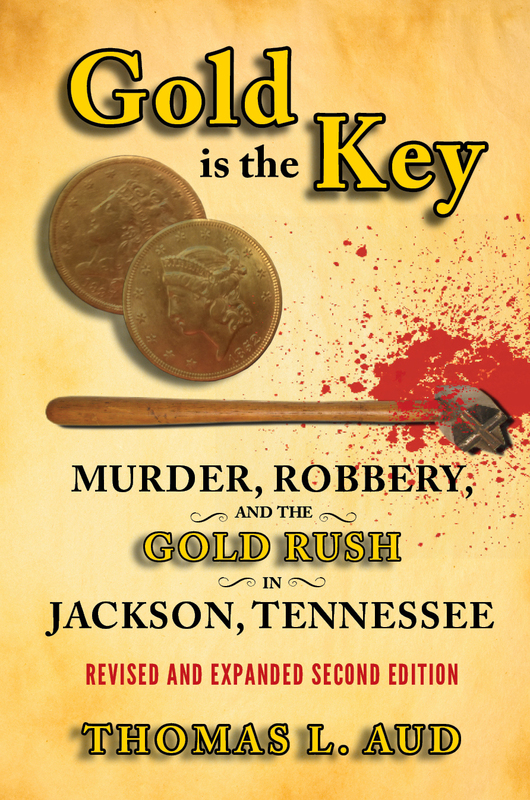 Author Thomas L. Aud presents a thorough investigation of the murder and robbery and offers possible suspects and motives to one of the most famous unsolved crimes in Jackson history. This second edition of Gold is the Key has been revised with two new chapters, updated sections, and corrected errors in the first edition.